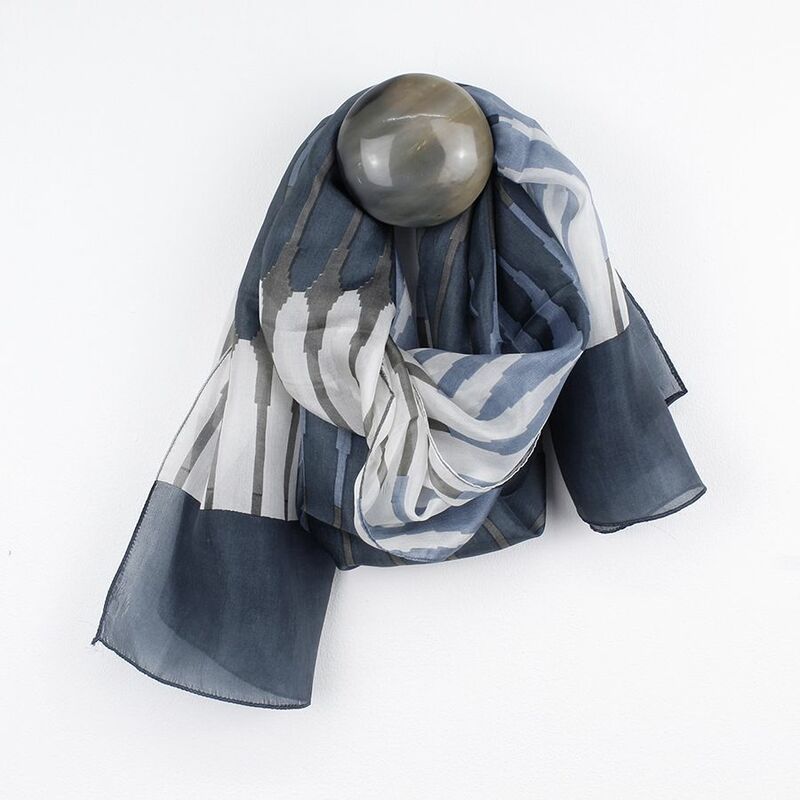 Blue, Grey, Taupe Long Diamond Print Silk Scarf Beautiful contemporary long diamond shape print 100%silk scarf.The perfect gift for any occasion -very comfortable and easy to wear.This scarf is extremely versatile and will compliment any outfit. 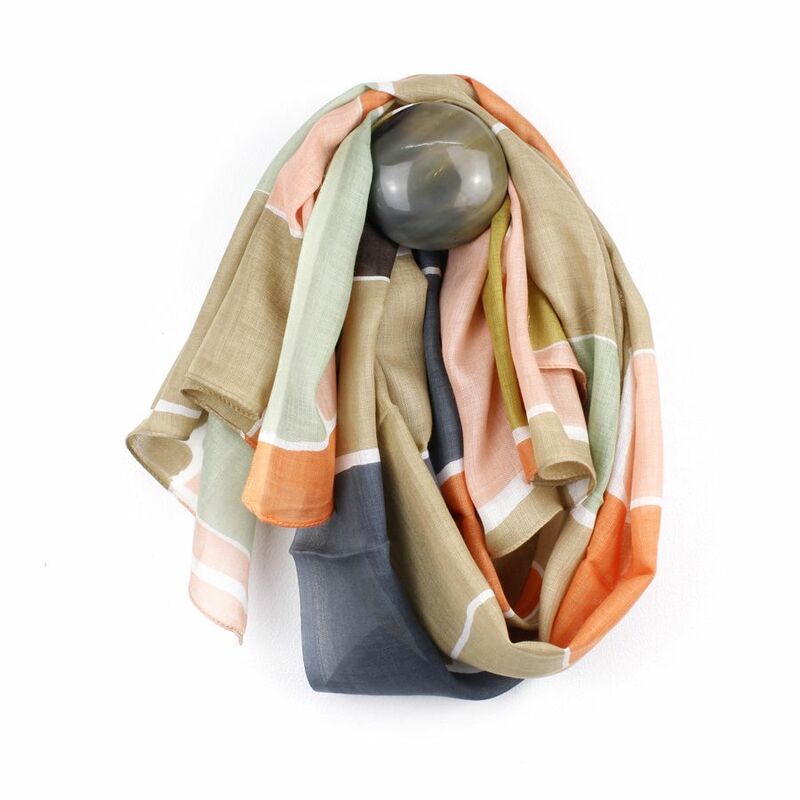 Mustard, Grey, Taupe Ellipse Silk Scarf Beautiful contemporary ellipse print 100%silk scarf.The perfect gift for any occasion -very comfortable and easy to wear.This scarf is extremely versatile and will compliment any outfit. 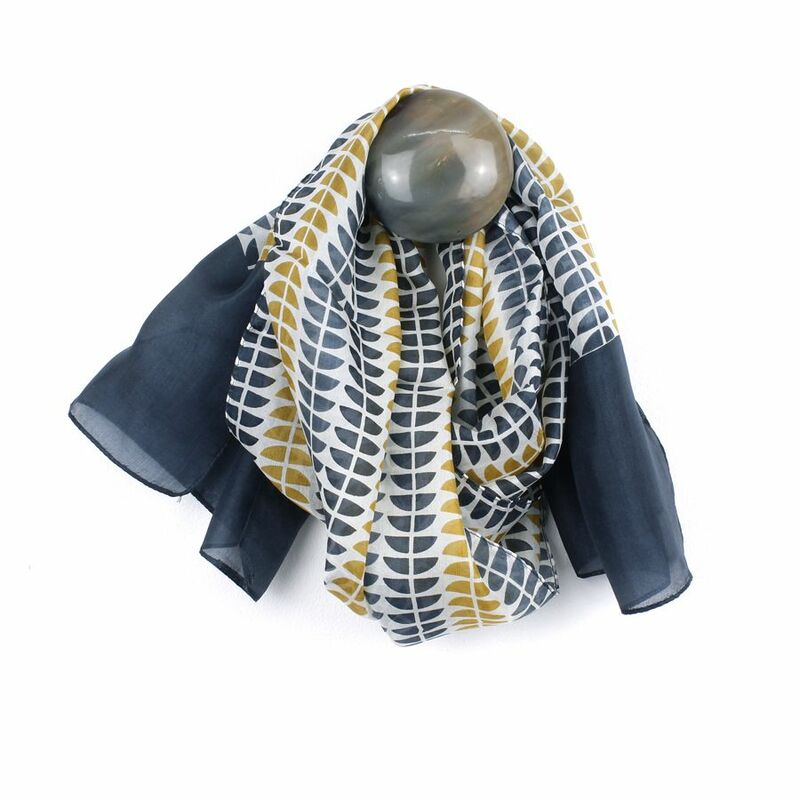 Semi Circles Print Silk Scarf Beautiful contemporary semi circle print in mustard yellow and dark blue/grey 100%silk scarf.The perfect gift for any occasion -very comfortable and easy to wear.This scarf is extremely versatile and will compliment any outfit. 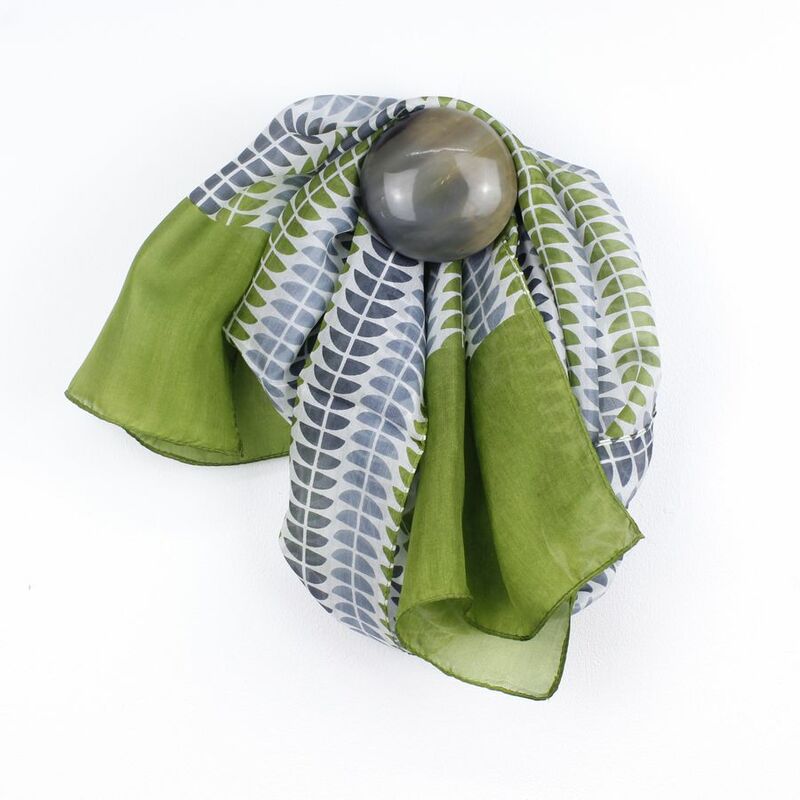 Semi Circles Print Silk Scarf Beautiful contemporary semi circle print in green and grey 100%silk scarf.The perfect gift for any occasion -very comfortable and easy to wear.This scarf is extremely versatile and will compliment any outfit. 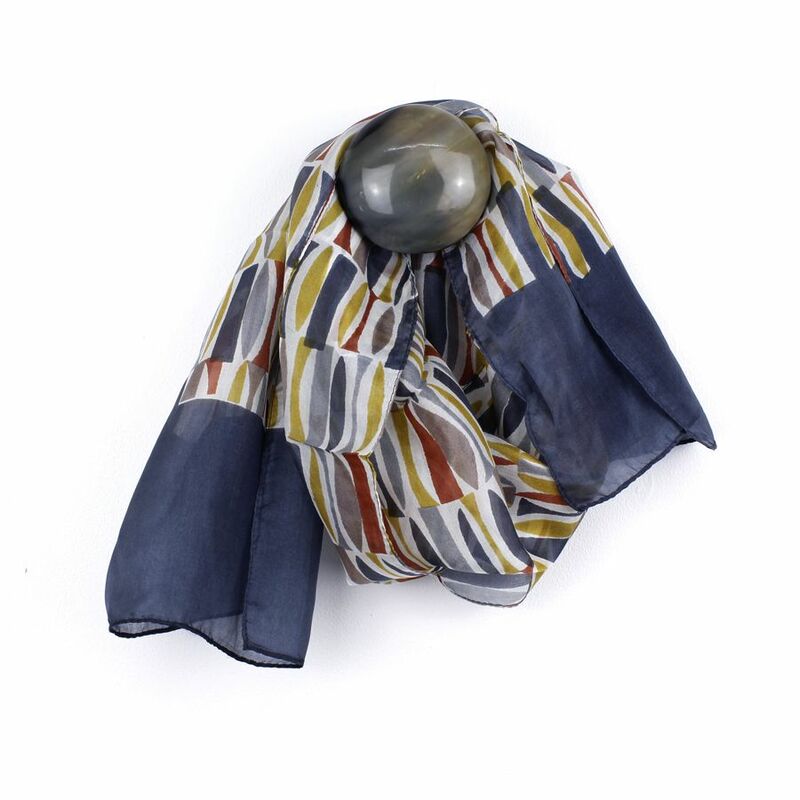 Mustard, Grey/Blue Overlay Circle Print Silk Scarf Beautiful contemporary striking overlapping circle print in mustard and dark blue/grey 100%silk scarf.The perfect gift for any occasion -very comfortable and easy to wear.This scarf is extremely versatile and will compliment any outfit. 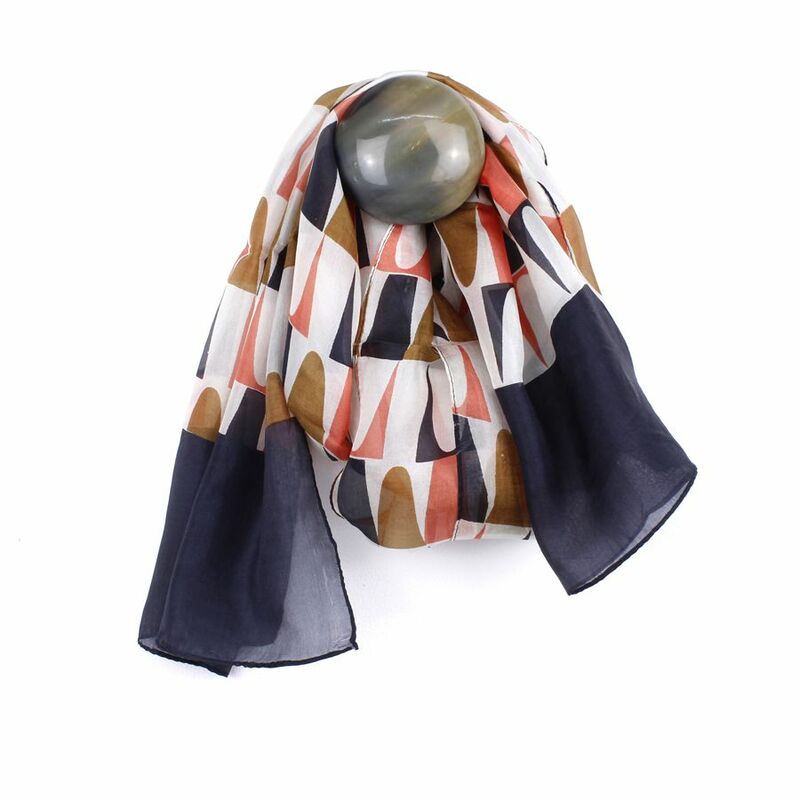 Striking Geometric Print Silk Scarf Beautiful contemporary striking peach, ochre and dark blue/grey print 100%silk scarf.The perfect gift for any occasion -very comfortable and easy to wear.This scarf is extremely versatile and will compliment any outfit. 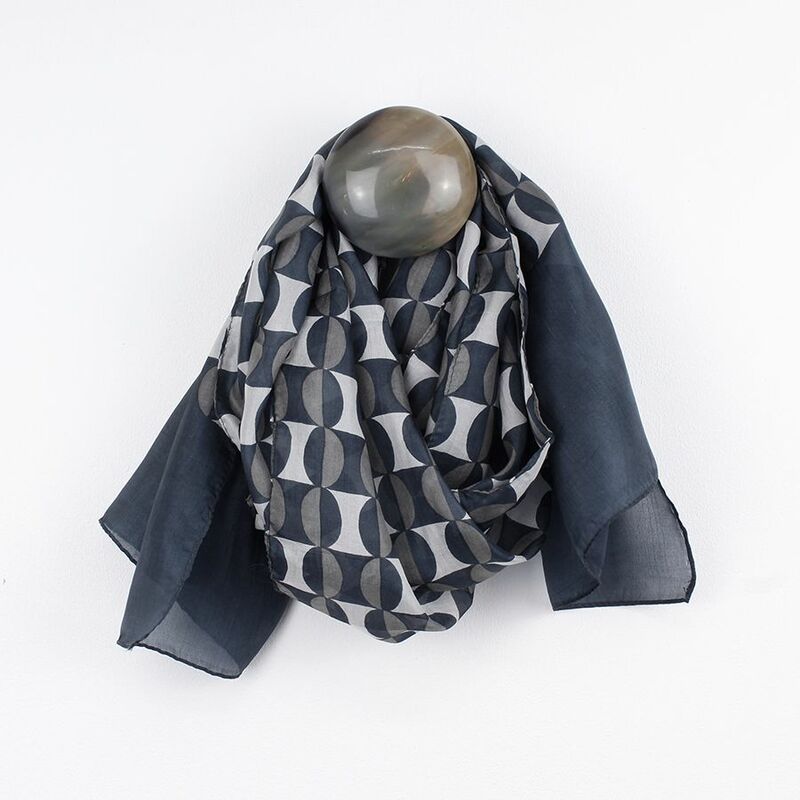 Blue/Grey, Taupe Semi Circle Print Silk Scarf Beautiful contemporary geometric print 100%silk scarf.The perfect gift for any occasion -very comfortable and easy to wear.This scarf is extremely versatile and will compliment any outfit. 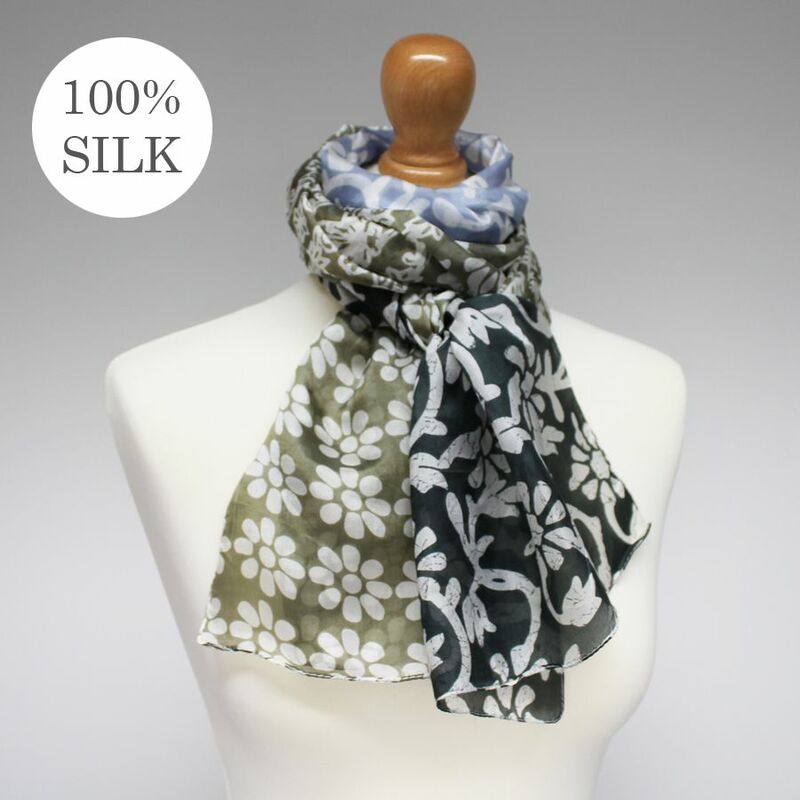 Beautiful contemporary batik flower print 100%silk scarf.The perfect gift for any occasion -very comfortable and esy to wear.This scarf is extremely versatile and will compliment any outfit. 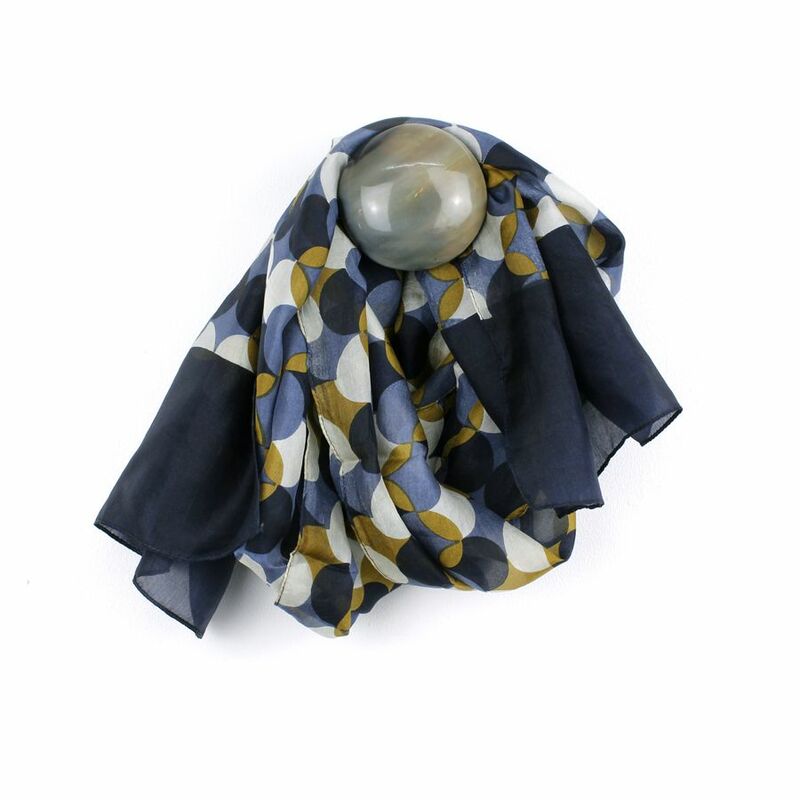 Blue Mix Silk Semi Circles Scarf Beautiful contemporary geometric print 100%silk scarf.The perfect gift for any occasion -very comfortable and easy to wear.This scarf is extremely versatile and will compliment any outfit. 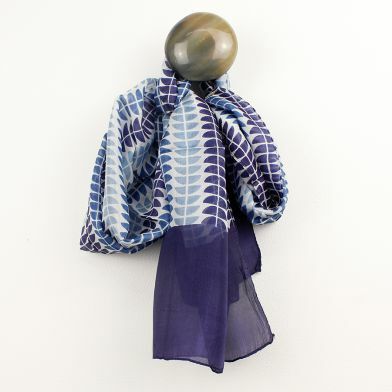 Blue/Grey Tile Print Silk Scarf Beautiful contemporary three tile print panel 100%silk scarf.The perfect gift for any occasion -very comfortable and easy to wear.This scarf is extremely versatile and will compliment any outfit. Pashon was started in 2005 by Randa Qubti. 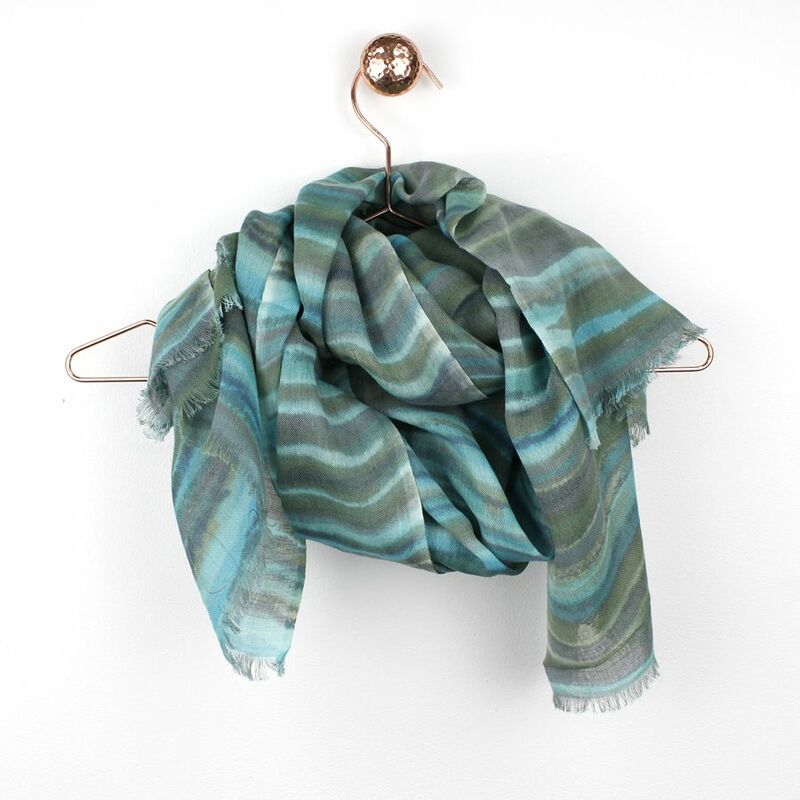 Randa sources artisan-made jewellery and accessories from all over the world, including her native Jordan. 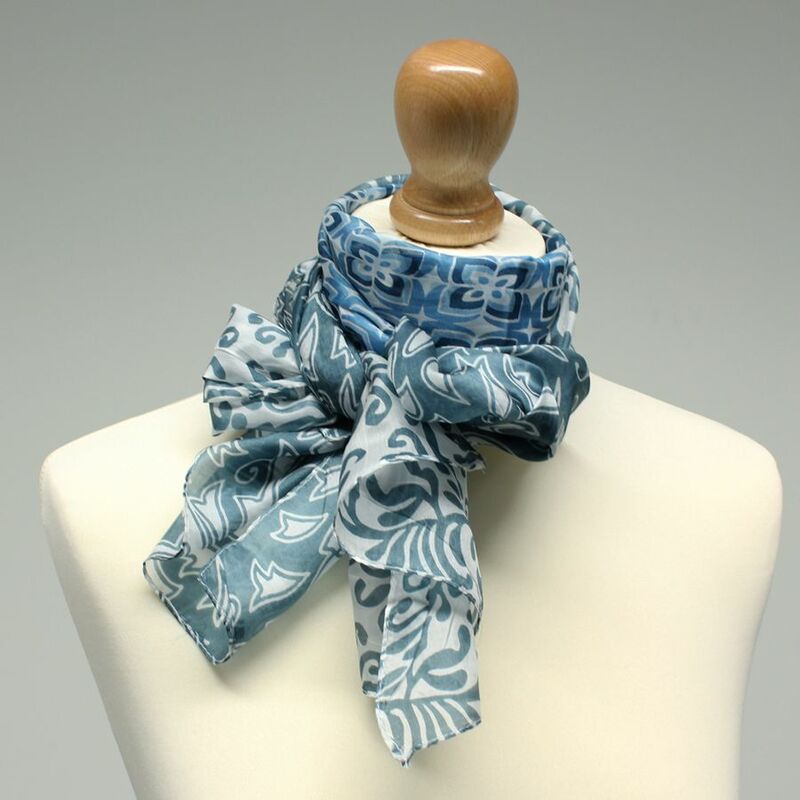 Pashon has two locations, in Cirencester and Stroud. We believe in beauty, quality, and crafstmanship. Copyright 2018 Pashon Ltd. All Rights Reserved.